Some schools have rescheduled prom, adjusted their testing schedules or made other accommodations to help fasting students. It's part of a trend in recent years of schools adopting more inclusive policies for religious minorities. 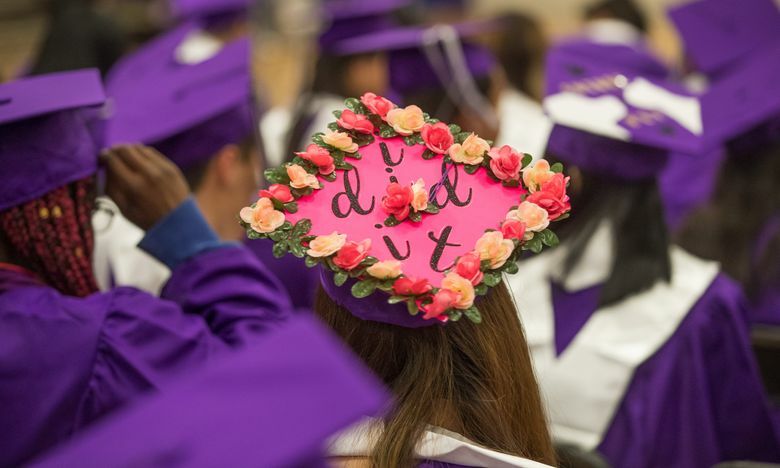 It’s also when students faced the pressure of finals that can keep them advancing to the next grade or graduation, in addition to other once-in-a-lifetime events such as prom and senior-award banquets. As King County’s Muslim student population grows, faculty and student efforts to increase accommodation for the annual holiday and other religious activities such as prayer have gained traction. Ramadan presents a challenge not only for the fasting students, but for the schools trying to make adjustments for them. According to the Muslim Association of Puget Sound, Friday is the start of Eid al-Fitr, the three-day holiday that marks the end of Ramadan. The month moves back on the Gregorian calendar about 10 days every year because the Islamic lunar year is that much shorter, meaning Muslims in the Puget Sound region typically fast for 18 hours per day when it falls over the summer months. For students, it’s a constant balancing act between school and a fundamental part of their faith. 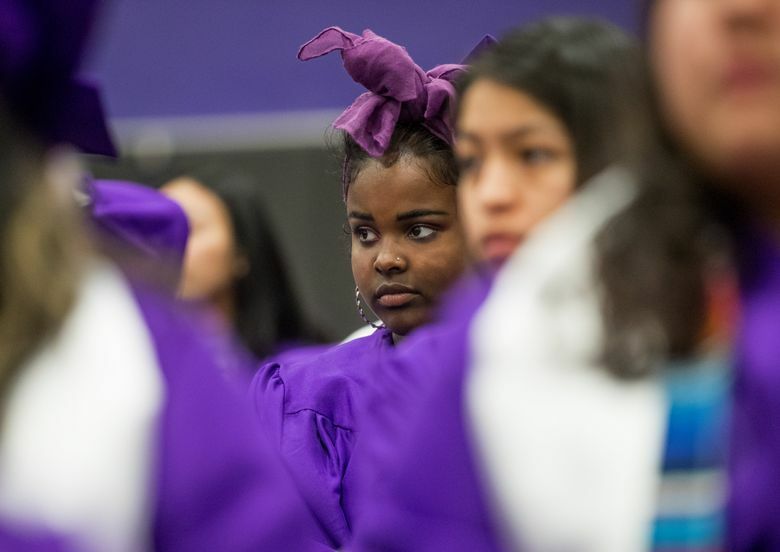 In Tukwila, where about a third of students identify as Muslim, the school district has made changes. 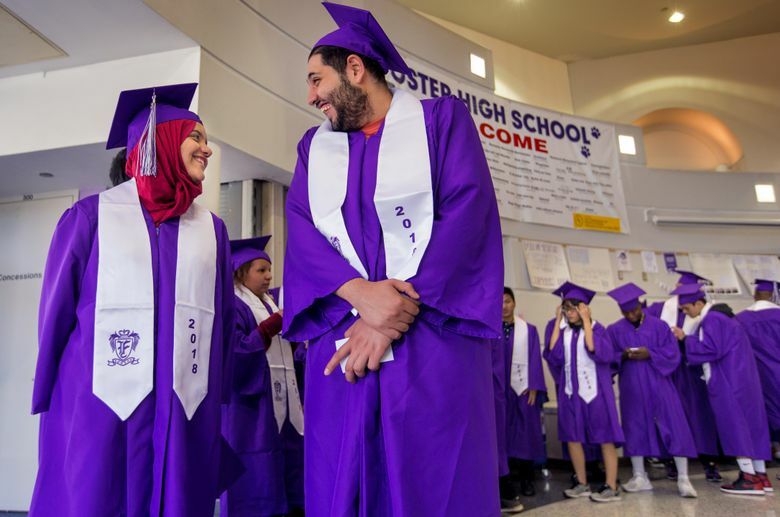 Foster High School, which had traditionally spread graduation rehearsal and other end-of-the-year activities across three days, this year packed all events into a single day. New Principal Meg McGroarty said she made the decision to allow her Muslim students to celebrate Eid al-Fitr at home with their families this weekend. 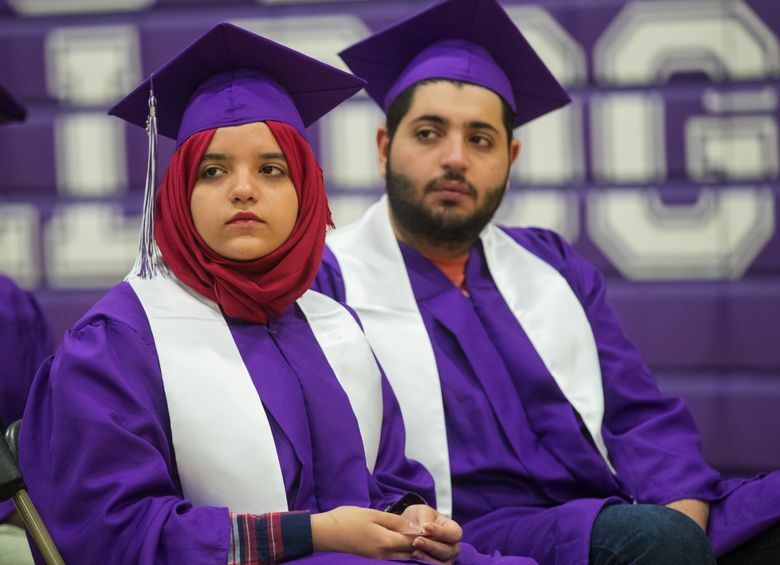 Wiqaa Al Jubeer, a 17-year-old Foster student whose family emigrated from Iraq to Tukwila last year, says her school’s policies have always made her feel welcome. Other schools have added Eid and other religious holidays such as Rosh Hashana to their calendars, a cue to teachers to implement lighter lesson plans on those days. Not all Muslims want schools to make special accommodations for Ramadan and other religious activities. At Renton High School this year, administrators rescheduled finals so teachers could excuse students who needed to pray, but they required them to make up the tests later. Nada Khalil is a sophomore track and field athlete at Redmond High School who is opting to miss morning Eid celebrations with her family to prepare for finals. During Ramadan, she took long naps after school and an exercise class until the fast-breaking meal, which happens about 9 p.m. After eating, homework consumes her night before she tries to sleep for two hours. 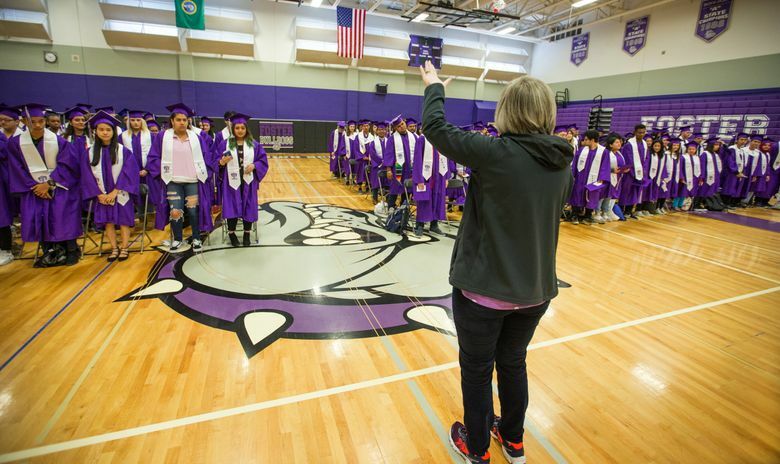 Her alarm rings at 6 a.m.
Redmond High officials have worked with students who requested time to pray or for a break from physical education in the past, according to Shannon Parthemer, spokeswoman for the Lake Washington School District. Rose Hill Middle School, for example, always scheduled its “mile run” fitness exam before Ramadan, she said. While Khalil says she wishes that her school made more accommodations for Muslim students, she hesitated to ask for any. Her mother, Rania Elhalafawy, says she would love for schools to start giving the Eid holiday off but doesn’t push the issue with Khalil’s teachers so she doesn’t come off as rude or trying to break the rules. In a 2017 survey conducted by the Institute for Social Policy and Understanding, 42 percent of Muslim parents reported that their school-age children were bullied, a rate the report says is four times the general population. In about 25 percent of the reported incidents, teachers or other school employees were doing the bullying, it said. To encourage students and families to speak up more about bullying incidents and accommodations, Samy says educators should start the conversation.